Hi everyone! 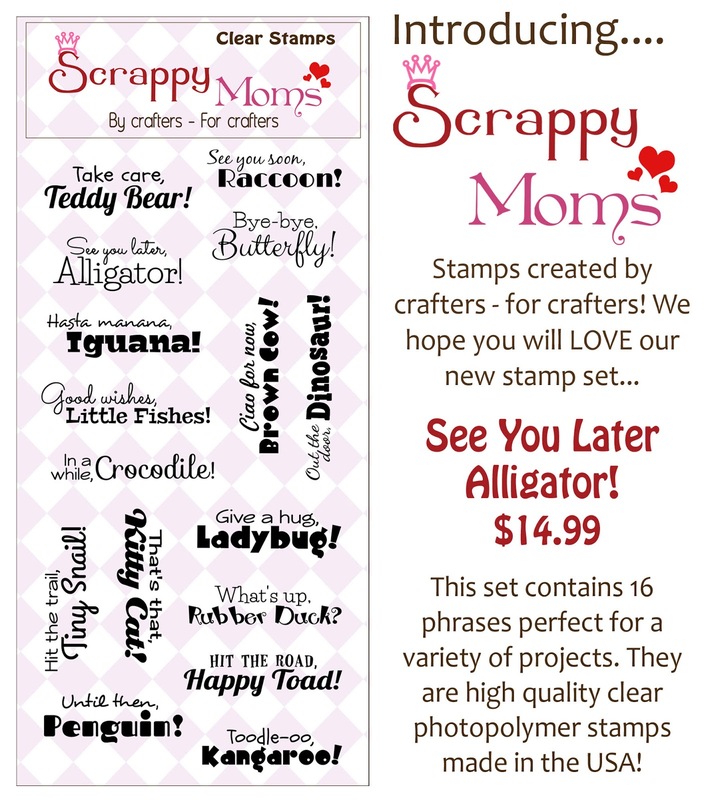 Scrappy Moms is releasing two new stamps sets today....All about Fall and See You Later Alligator. They are both great sets. Here they are. I used my Cameo to create this acorn shaped card. The adorable little squirrel is part of the the paper collection and the leaves are a Designer Die from Echo Park. 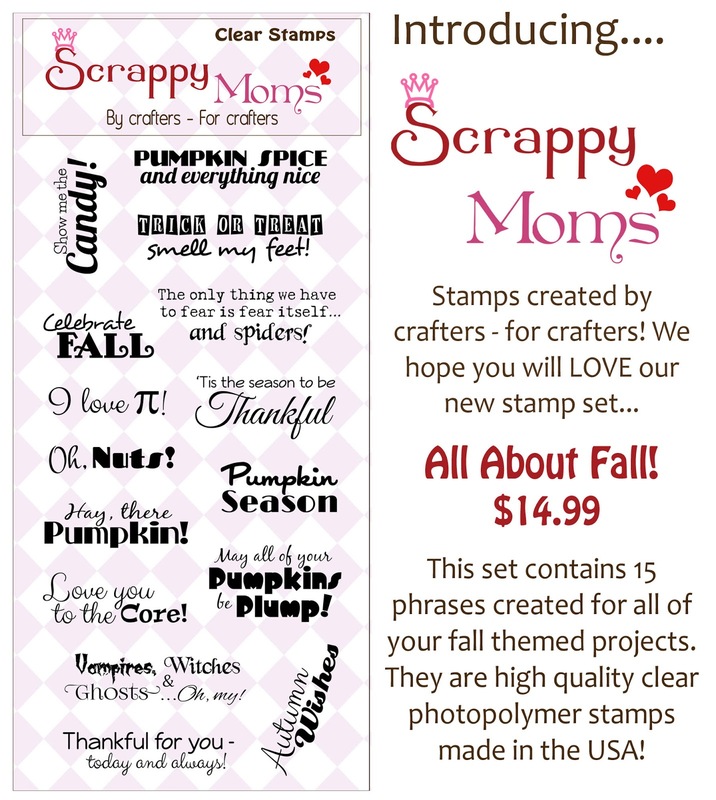 Head on over to Scrappy Moms Stamps to get these adorable new stamps and be sure to visit the rest of the design team for more inspiration.